Live Live takes the concept of live cinema further than most, creating radically immersive cinematic journeys. New Zealand’s leading musical maverick Leon Radojkovic leads a masterful crew of musicians and actors to recreate every sound using a combination of spoken voice, and mechanical and digital sound design to accompany the films Carnival of Souls and Dementia 13. Herk Harvey’s stunning black and white film Carnival of Souls, and Dementia 13 (from a young and ultimately legendary Francis Ford Coppola) are both stylishly crafted gems of gothic horror. 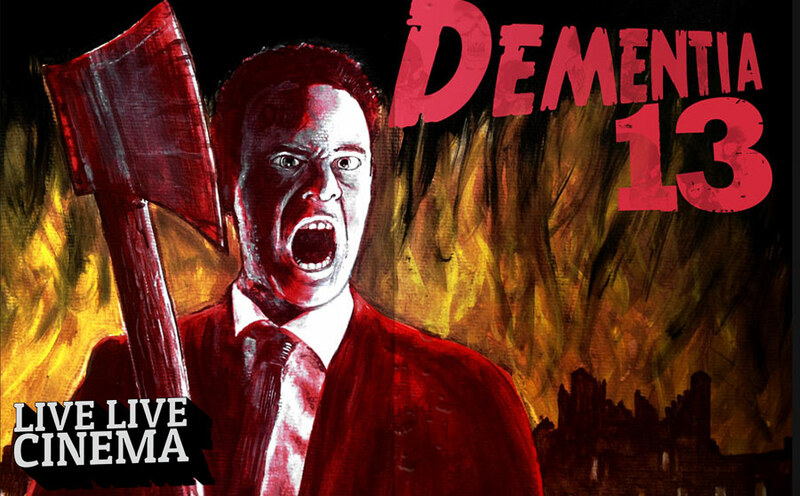 The 1963 horror-thriller Dementia 13 was Coppola’s directorial debut work (disregarding two early nudies). Initially schemed up as a cheap Psycho copy, the plot sees a recently widowed scheming young woman pursue her wealthy former in-laws for a slice of the family pie. Her plans come unstuck when in the family’s Irish castle an axe-wielding lunatic begins hacking away at people. Brimming with suspense and gruesome horror, the Live Live cast will no doubt be doing plenty of skulking, stalking and hacking. And maybe it is you who will be doing the screaming.